The parish of Nativity of Christ presents a church ensemble, which includes the main church in honor of Nativity of Christ, the church in honor of St. Tikhon, the patriarch of Moscow, and a chapel for blessing of water with a font. The foundation of the church was laid in March 1998. The church was consecrated in honor of St. Tikhon, the patri­arch of Moscow on April 19, 1998 by the arch­bishop of Kazan and Tatarstan Anastassy. The church is not very big, one-altared and is used for baptism. The foundation of the church was laid in September 2002; on August 2, 2003 the first liturgy was served. 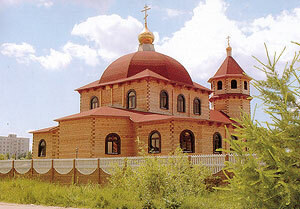 On September 7, 2003 the church was consecrated by the archbishop of Kazan and Tatarstan Anastassy. The church is bigger than that of St. Tikhon, one-altared, wooden. The chapel was built at the expense of parishioners in the late 2005. 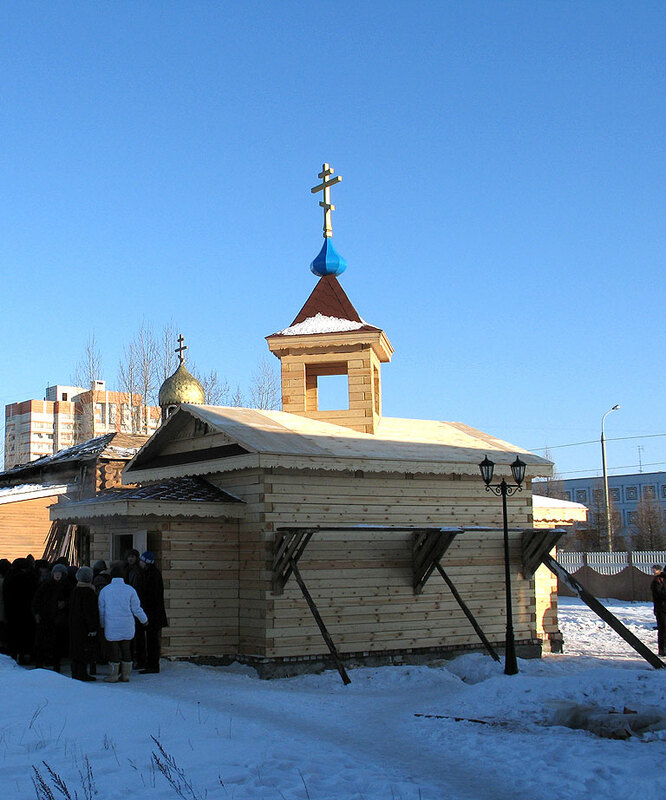 The well was blessed on January 16, 2006 by Archbishop Anastassy of Kazan and Tatarstan.